Evan Seeberger is a sophomore in the music school. Though he has not yet begun music courses, he frequently practices folk and rock music on his own and with friends. He also has to juggle his music with schoolwork and his job with university dining. He lives in an apartment with non-musicians, and utilizes his desk space as a space to play and record music. Joshua Berliner is a music major in the School of Music and Dance at the University of Oregon. He makes music in his spare time with genres ranging from electronic to alternative to R&B. He shares his music on Soundcloud under the name "Kid April," and performs locally with other musicians as frequently as possible. He works from his studio setup in the corner room of his large apartment complex, and has four other roommates. Will Sommer is a sophomore in the School of Music and Dance, with a focus in popular music. He explores several genres of guitar, his current favorite being blues. His room is a detached studio, giving him quiet and privacy away from the large main house where his roommates live. He thought it would be best for him to take this space, because he knew he would constantly be practicing. Delano Bell is a sophomore in the School of Music, with a focus in trumpet performance. He hopes to someday become a symphony conductor. 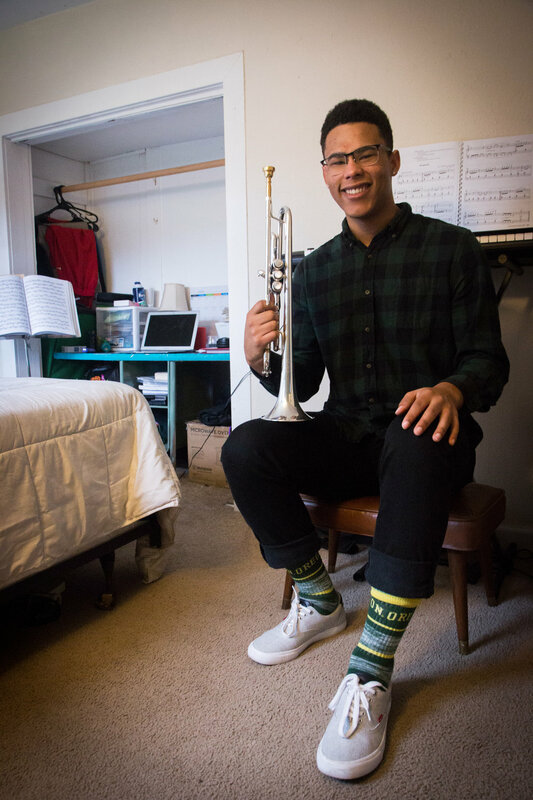 He originally began on the alto saxophone in elementary school, but when a family friend gifted him a trumpet, he changed course. He lives in a small off campus home with several roommates, and utitlizes his bedroom as a place to practice and record. Bridget Altez is a junior at the University of Oregon with a focus in flute performance. She lives in a large apartment complex with several other roommates. She prefers to practice at home for the sake of conveniece, but has had noise complaints from neighbors in the past. She hopes to play professionally in a symphony setting or teach flute at a collegiate level. August King is a senior at the University of Oregon. 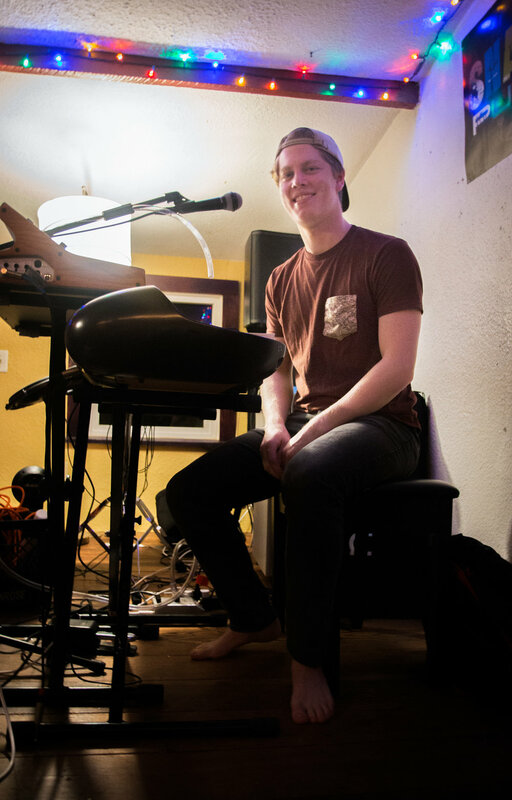 He has played keyboard in several music groups in Eugene with genres ranging from hip-hop, funk, rock, and countless more. King's practice space is located in the attic of his five bedroom house, where his band "The Kings" practice multiple times a week.